LEARNING you have brain cancer would be a daunting situation for anyone, but a 10-year-old Bundaberg girl has taken it in her stride and emerged a stronger person. Madisson Pashley was diagnosed with brain cancer 18 months ago and, with the help of the Brainchild Foundation, which supports children with brain tumours and their families, has finished 12 months of chemotherapy and is looking ahead to a bright future. 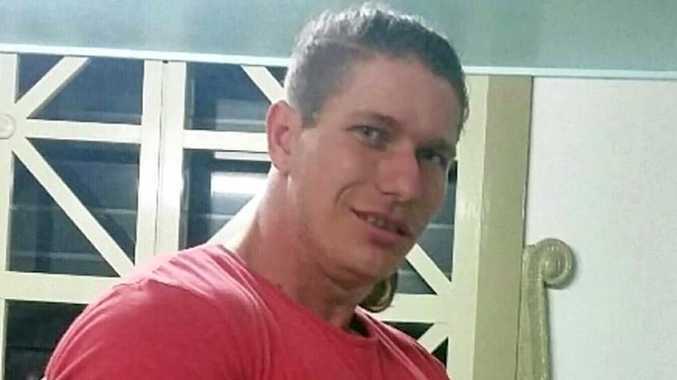 "It just started off with a funny eye,” grandmother Robyn Collard said. "We thought it was a lazy eye, and it's progressed from there which was a bit of a shock to the family. 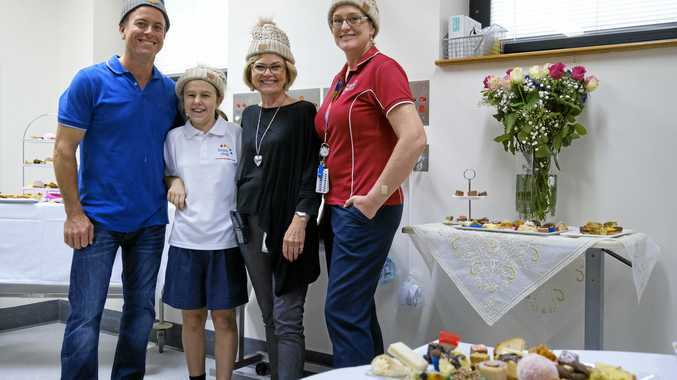 The Bundaberg Hospital Renal Unit yesterday held a fundraiser for the Brainchild Foundation who helped Madisson and her family through their tough time, and also sold $840 worth of beanies to support the Mark Hughes Foundation. "The people running Brainchild actually have been through this with their own children, so they've realised the support that is needed out there,” Ms Collard said. Every three months Madisson and her family visit Brisbane for monitoring, and her father Druce Pashley said an upcoming camp for those affected by brain cancer was something they were looking forward to. "We've never been to one because Madi's been too sick, but now she's better we can start doing more of that,” Mr Pashley said. "They say you create good relationships through those things with people in the same situation. "Brainchild have helped our family financially and have supported us by giving us someone to talk to, and they're still researching and trying to find more information. The camp will allow Madisson the chance to meet other children in a similar circumstance. "I've never actually met any other kid with it,” she said. The strong young lady is also the face of the Cancer Council which she will hand over to the next spokesperson after the Relay for Life event in August.